We’ve written this guide to help people like you understand how to find a home fast, and get the best possible price. If you’re looking now, or planning to home shop in the near future, this is a must-read guide for you. It’s free, so what are you waiting for? Grab this while you can! Which NYC buildings are for you? All the paperwork and then some! Which NYC Apartment Style Are You? Which NYC Neighborhood Are You? 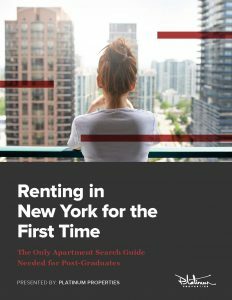 Download "Renting In NYC For The First Time"
You'll be able to immediately download this free guide.